Is the plumbing company you are thinking about hiring licensed in Colorado? 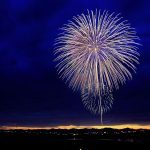 Some states require local or county level licensing. You should verify that a plumbing company has the necessary credentials to work on your plumbing project, before you sign any contracts. 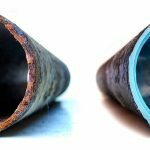 King Rooter & Plumbing has both a Master Plumber License, and Plumbing Contractors License issued by the Colorado Department of Regulatory Agencies (DORA). We are fully approved to perform any plumbing work or service in Colorado. King Rooter & Plumbing has been in business since 2006, and we have over 20 years experience in plumbing. King Rooter & Plumbing’s plumbing licenses are listed below. King Rooter & Plumbing carries General Liability Insurance for $2,000,000. King Rooter & Plumbing is a BBB Accredited Business with an A+ Rating. 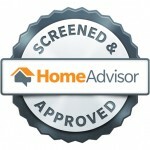 King Rooter & Plumbing has passed the HomeAdvisor screening process. AWWA is widely respected globally and offers true leadership in the drinking water industry. 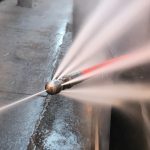 Our licensed Denver plumbers are ready to install, repair, or service your plumbing projects in Aurora, Arvada, Boulder, Brighton, Broomfield, Centennial, Commerce City, Denver, Englewood, Frederick, Firestone, Golden, Glendale, Henderson, Highlands Ranch, Lafayette, Lakewood, Littleton, Longmont, Lone Tree, Louisville, Northglenn, Parker, Thornton, Westminster, Wheat Ridge, CO.